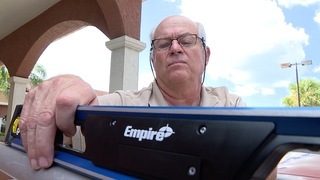 It’s a law designed to give Florida’s disabled access, but some say a Florida man is only paving the way for himself. 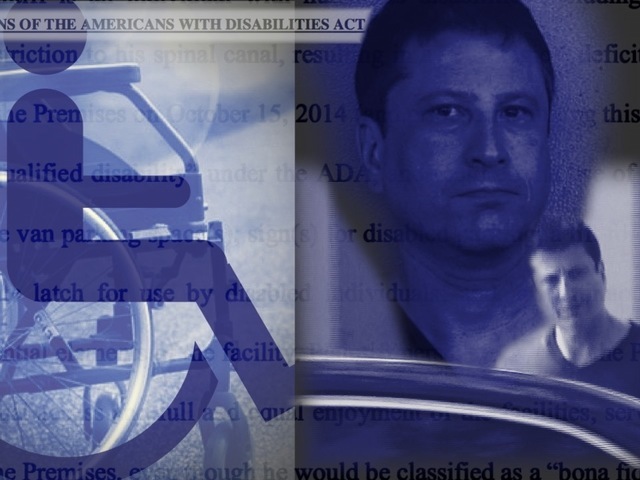 He’s filed more than 1,000 lawsuits against businesses for violating the Americans with Disabilities Act. For the first time, only I-Team Investigator Katie LaGrone tracks him down and what’s he’s not telling her, now has lawmakers saying a mouthful. 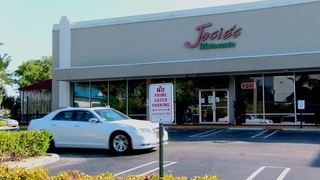 A beach front hotel near St. Petersburg, an art supply store in West Palm Beach and a pizza restaurant in Boynton Beach. 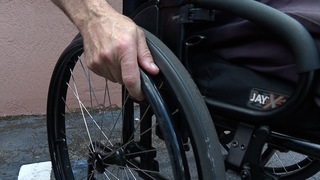 They are among Florida businesses sued for violating the Americans with Disabilities Act. But they are also among the Florida businesses sued by the same man who has never been tracked down by the media until now. Last year, Michael Marsh met Howard Cohan in black and white. “Yea, I was surprised. I’ve never been served papers before,” he told us. 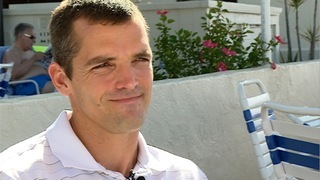 Marsh owns Shoreline Island Resort on Madeira Beach. It was sued by Cohan for violating the ADA with inadequate parking, no continuous path and having no disabled access to the pool. “It doesn’t feel altruistic in the way that it comes out,” Marsh said when asked if he felt Cohan filed the lawsuit with good intentions. “Why wouldn’t he just give me a call and let me know,” he asked of Cohan. 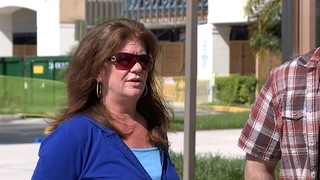 It's a problem many Florida business owners say has crippled them for years. Widely known as ADA "testers,” people simply "drive by" businesses only to drive out costly lawsuits alleging a business is not in compliance with ADA rules. The violations range from the obvious to, what some say, are trivial. 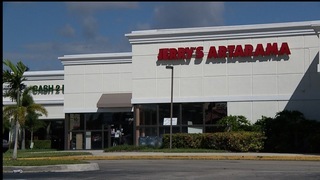 Last month Howard Cohan sued Jerry’s Artarama on Okeechobee Blvd in West Palm Beach for, among other things, a toilet paper dispenser, he claimed, isn't the right height. 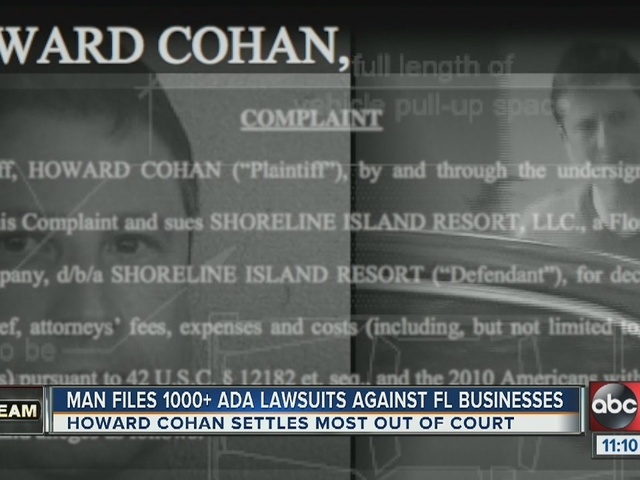 “The problem is the first word out of their mouth is money, pay me,” said Kevin Berry, a Cape Coral based ADA consultant who is hired by businesses sued by people like Cohan. For Berry, the mission to get businesses ADA compliant is personal. He lives with multiple sclerosis and often requires a wheel chair to get around. He believes so-called serial suers, like Cohan, are taking advantage of federal laws that allow people to sue businesses in violation of ADA rules. “It gives me a bad name, it gives other people with disabilities a bad rap,” he said. Since 2012, 5,839 ADA lawsuits have been filed in Florida. Howard Cohan is responsible for 1,114 of them. Of the nearly 6000 ADA compliancy lawsuits filed in Florida since 2012, roughly one in five were filed by Howard Cohan, making him Florida's most prolific ADA plaintiff. While we're not disputing his disability, you can imagine our surprise when we watched him outside his million dollar Boca Raton rental sweeping the outside of his home. Our cameras captured him raising the broom high above his head to him reach corner crevices. We approached him a short while later in a parking lot. “We want to talk to you about all these lawsuits you're filing,” asked I-Team Investigator Katie LaGrone. “Not going to happen,” Cohan replied while getting back into his SUV. 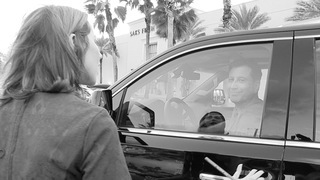 “Thanks for chasing me down,” he said as he closed the door and drove away. Cohan later told us over the phone that he doesn't make any money off the lawsuits and doesn't sue every business he finds ADA problems with. 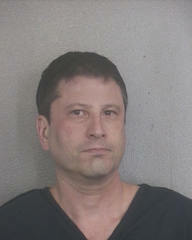 In some cases, he told us, he sends businesses with minor violations a letter. When we asked to name those businesses or send us copies of those letters, he declined. 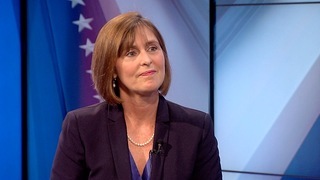 U.S. Representative Kathy Castor (D-Hillsborough County) believes businesses don’t always get a fair shake with current ADA laws. In 2013, she co-sponsored a bill that would give businesses 90 days to fix violations. Congresswoman Castor believes the issue should be discussed at the state level where reform may occur faster than at the federal level. 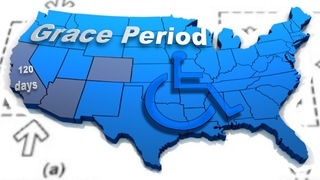 California gives businesses a 120-day grace period to comply with ADA laws before that business can be sued. After recent stories from our sister stations in Arizona and Colorado, there’s talk those states may do the same. 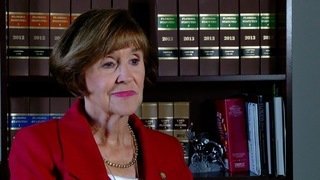 “I think 120 days is reasonable,” said R- FL Representative Gayle Harrell of Stuart who has spent much of her political career advocating for disabled rights. She recognizes the problem of serial ADA filers. 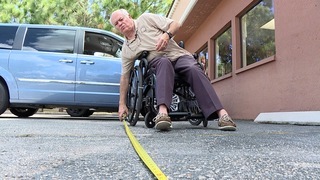 Florida ranks among the top states for ADA noncompliance lawsuits and so-called drive by testers who don’t even patronize the businesses they sue. “I think its despicable that they’re doing this,” Rep. Gayle Harrell said. 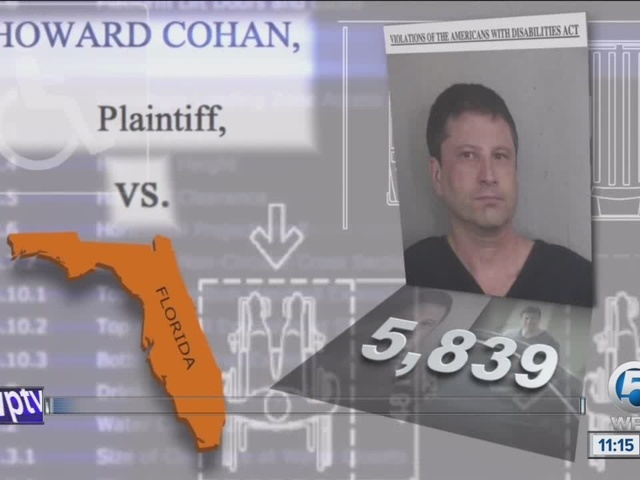 In Cohan’s case, he admitted to the I-TEAM that he doesn’t always stay at the resorts and hotels he files lawsuits against. Shoreline Island Resort is one of them. Cohan also told us that he would support a grace period. 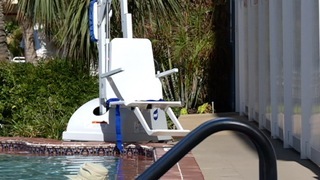 Shoreline Island Resort added additional handicap parking spaces and its pool is now equipped with an $8000 chair lift. “Has anyone used it,” asked LaGrone. “Nope, just the maintenance guys,” said resort owner. On top of a chair yet to be used, Marsh is still sitting on what turned into a costly lawsuit he settled out of court. "$20,000 that's a lot for a small business,” he said. A lot for a lawsuit filed by a man Marsh doesn't know, never met and has yet to become one of his customers. “What would you say to Howard Cohan,” asked LaGrone. “Well come and enjoy our property,” said Marsh.